In July 1976, a twenty-four-year-old white woman, Margo Olson, was found in a shallow grave in Stamford, Connecticut, with an arrow piercing through her heart. A few weeks later, Howie Carter, her black boyfriend, was killed by the police. Howie and Margo’s interracial relationship held a distorted mirror to the author’s own, with Howie’s best friend, Joe. Joe’s theory was that the police didn’t have any evidence to arrest Howie; operating on the assumption that the black man is always guilty, they killed him instead. Margo’s murder was never solved. Looking back at what might have happened in 1976, the author discovers a Bicentennial year steeped in recession, racism, and unrelenting violence. It was also a time of flourishing second-wave feminism, when young women were encouraged to do anything, if only they knew how. 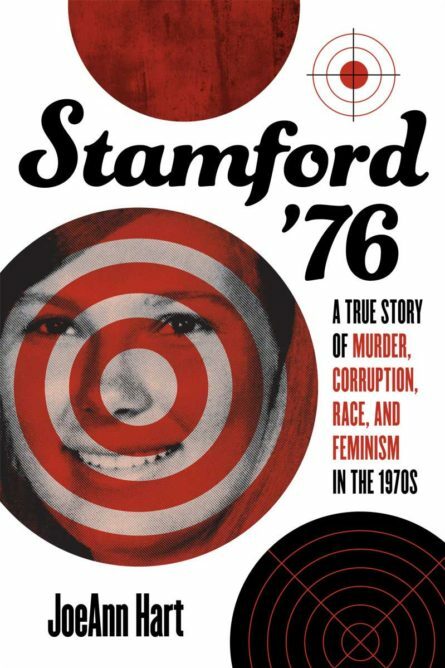 Stamford was in the midst of urban renewal, destroying historically black neighborhoods to create space for corporations escaping a bankrupt and dangerous New York City, just forty miles away. Organized crime followed the money, infiltrating Stamford at all levels. The author reveals how racism, misogyny, the economy, and corruption affected the young people’s daily lives, and helped lead Margo and Howie to their deaths.